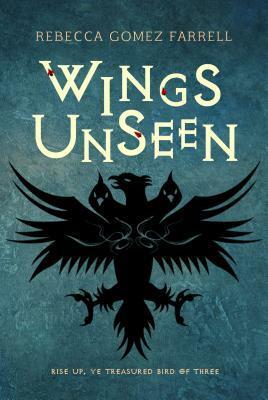 Wings Unseen is Rebecca Gomez Farrell’s delightful Epic Fantasy that releases August 22, 2017! In the meantime, enter below by 6/24 to win one of 5 print advance review copies of the book. Wings Unseen has all of the things we love in a great fantasy–magic, ancient prophecies, epic battles, evil bugs (yes, really! ), and a love story (or two). PreviousBehind the Mask Blog Tour / Ebook Giveaway!